Do you have a teen that’s getting ready to become a new driver? Learning to drive can be a nerve-racking, yet exciting change in life. It takes time for teens to become excellent drivers, and you can help them get a head start with helpful guidelines and recommendations for their preparation. Here are a few tips you can give them so they pass their driver’s test and are safer on the road! Every state has different laws for driving, car safety, how often you need emissions and safety checks and more. Federal driving laws are ones that are common from state to state. You will have many of the same traffic laws no matter what state you are in. However, others will have specific laws for a region, city or the state as a whole. Being knowledgeable as a driver can help you to stay safe on the road and avoid traffic violations. This is especially important for new drivers that want to avoid getting a ticket right away (which is basically every driver). 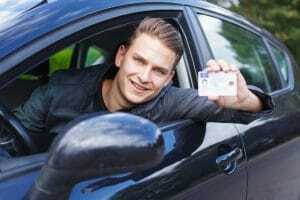 If you click here, you will find links to the driving laws for every state, which will help you or your child pass a driver’s test. There are over 222 million registered drivers in the United States. The National Safety Council reported that in 2016, accidents rose 14% and over 40,000 people (40,327 to be exact) in the U.S. died that year in motor vehicle accidents. There are many causes of car accidents that include speeding, reckless driving, drunk driving, weather conditions, tailgating, road rage and more. However, despite the many reasons for accidents, distracted driving is the #1 cause of car accidents. In the past this didn’t use to be the main cause of accidents, but with the prevalence of texting and multitasking while driving, distracted driving has taken the lead. 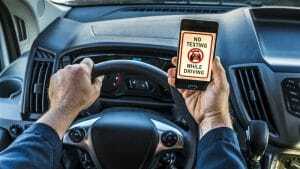 Distracted driving, by definition, is “the practice of driving a motor vehicle while engaging in another activity.” People do this so much that the Department of Motor Vehicles reports that 9 people die in the U.S. every day due to distracted driving. One of the main distractions for drivers is texting or calling while driving. Drivers check messages, voicemails, emails and more, even while traveling at high speeds on the freeway. Virginia Tech Transportation Institute found that a driver is 3 times more likely to crash their car when they text and drive. The DMV reports that when people text, on average they take their eyes off the road for 5 seconds each time they look at their phone. For a car traveling at 55 mph, that means a person can travel as far as the length of a football field without looking. This makes it very easy to rear-end a car in front of you that has stopped or to hit a pedestrian, an obstacle, or to go into other lanes of traffic. Texting is one of the most dangerous things you can do as a driver. If you’re a current driver or prepping to be a new driver, make sure you make the decision now to never use your phone while driving. Know how all the controls work in the car you will be driving. Spend time sitting in your car, learning how to turn lights on, how the cruise control works, what the gauges mean and more. That way, you don’t have to figure those things out during your first few drives. Don’t feel pushed by another driver. If you’re going the speed limit and the driver behind you is tailgating you, flashing their lights or trying to get you to speed, you don’t have to give in. Be as safe as possible and drive like you would if there wasn’t an impatient driver behind you. Don’t be overly confident. Once you master driving, don’t let distractions (like very loud music) become a part of your driving. Remember that driving is still dangerous even though you’re a safe driver. Always be alert and actively using your driving skills instead of driving overly relaxed. Be smart with your friends. Depending on who you hang around with, you may be a passenger with a dangerous driver. Certain friends may also be distracted drivers, may drink and drive or be unsafe on the road. Find alternate transportation if you have friends that would put you in an unsafe driving situation. Never drink and drive no matter your age or driving ability. Know your surroundings. Map out your driving route ahead of time so you know where you’re going and what to expect. Use a GPS to get to where you’re going if it’s needed and make sure it’s in a place in your car where you can see both it and the road straight ahead. Confidence is everything when it comes to driving. Worrying about your every move with driving can make you a bad driver and it can lead to accidents and mistakes. Be an alert and knowledgeable driver, but know that not everyone is perfect. Follow traffic laws, drive the best you can and seek help when you need to learn skills (such as parallel parking. Part of being a confident driver is practicing driving well ahead of when you take your driver’s test. Get as many hours of driving experience you can with trusted adults that can teach you all you need to know about traffic laws and car safety. For tips we have for car safety, inspections, new drivers and more, call Scott’s Fort Collin’s Auto at (970) 682-4202!